This mitten pattern is very simple to use and easy to scale up or down to fit the hand size of any member of your family. 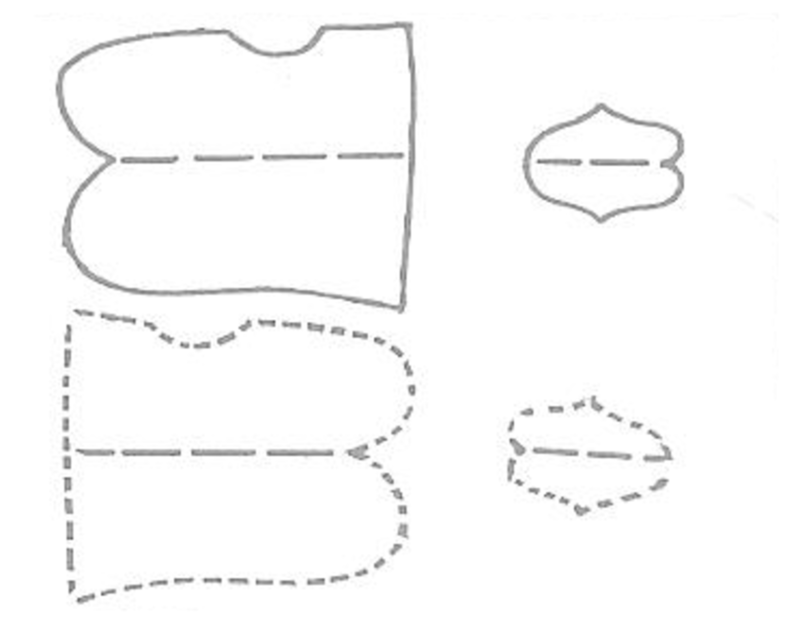 Use Figure 1 to draw up the pattern pieces to full size on thin cardboard. Lay the pattern pieces on the flesh side of the sheepskin (the suede not the fleece side) and draw around them carefully in pencil. 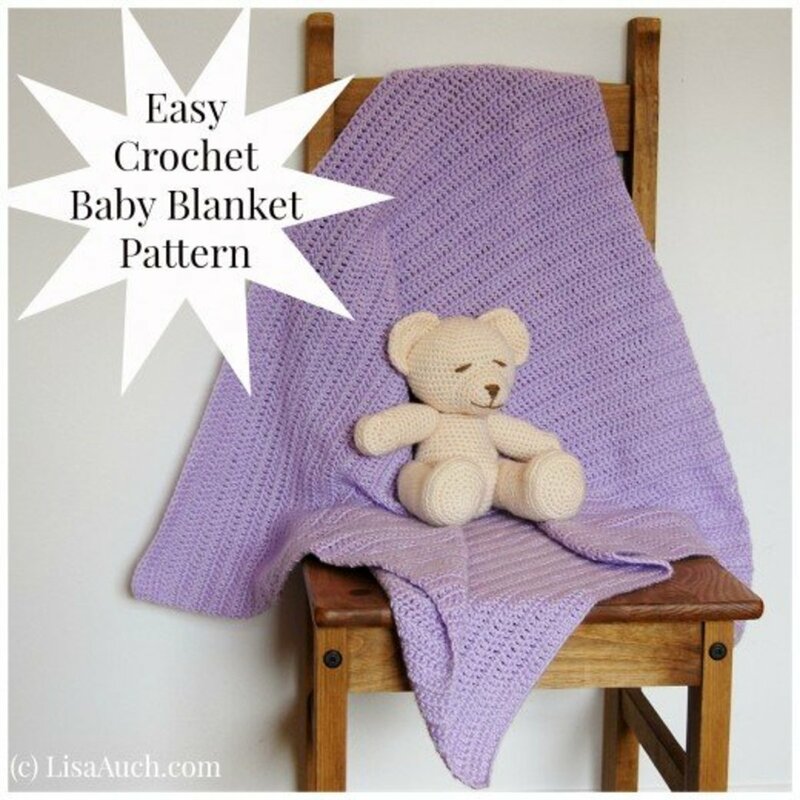 Use the pattern layout in Figure 2. 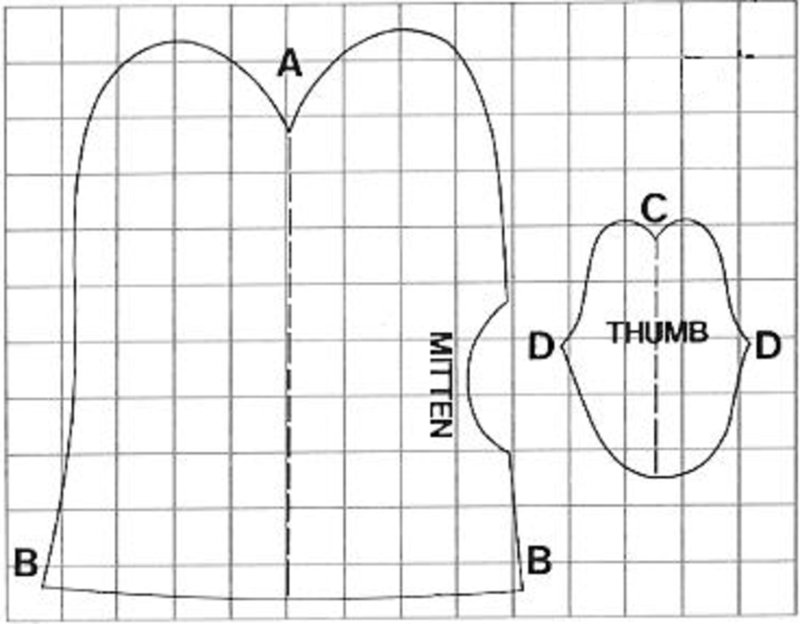 You will need two of the mitten piece (one reversed) and two of the thumb piece (one reversed). Cut out the pieces in sheepskin using the sharp knife or blade and allow an extra 1/8 inch all around for the seam allowance. 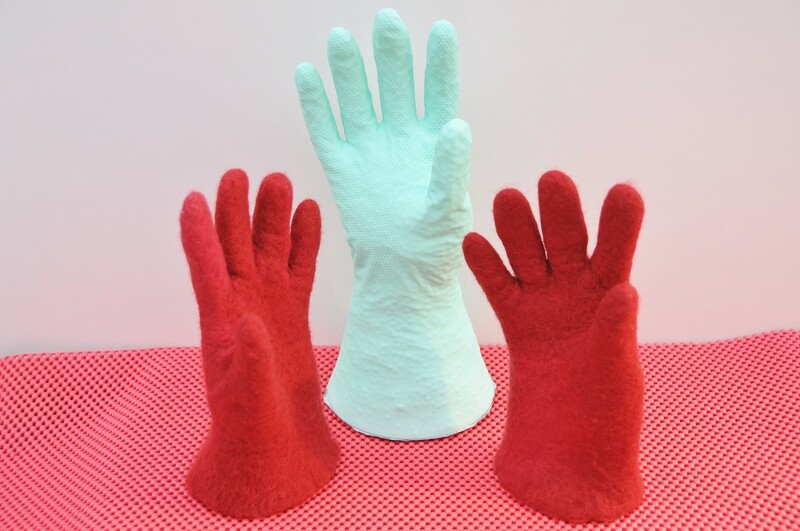 If you want to make the mittens in two colors, use the broken center lines as cutting lines, and cut half of each mitten and thumb piece in a contrasting color. 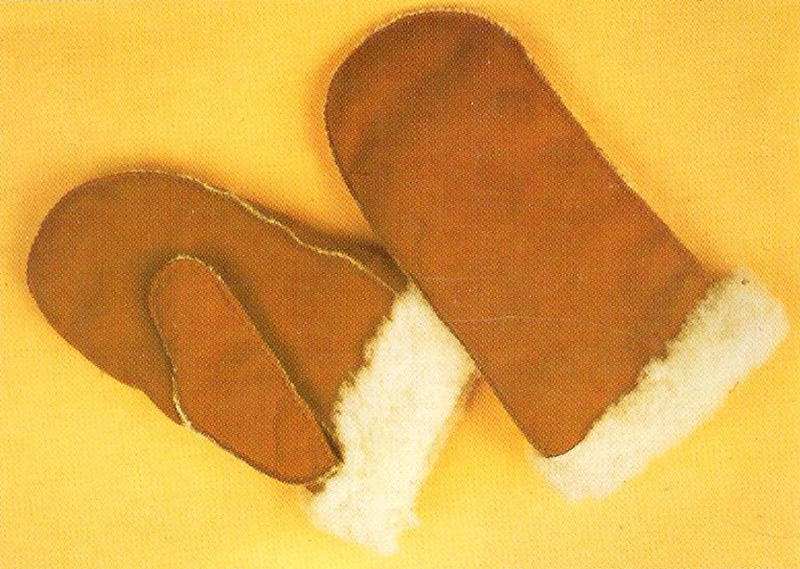 If you decide to decorate the mittens with applique work or with embroidery, do it before you assemble them. Any applique pieces should be lightly glued down with rubber cement first and then stitched around the edges with strong thread using a leather needle. *Remember that with a leather needle, it is difficult to do backstitch, the sharp edges of the needle tend to cut the preceding stitch. Fold the mitten piece in half down the center broken line with fleece sides together, and sew around from A to B with a strong thread using blanket stitch, but leave the thumb hole open. Now fold the thumb piece in half along the center line and sew together from C to D.
Sew the thumb into mitten. 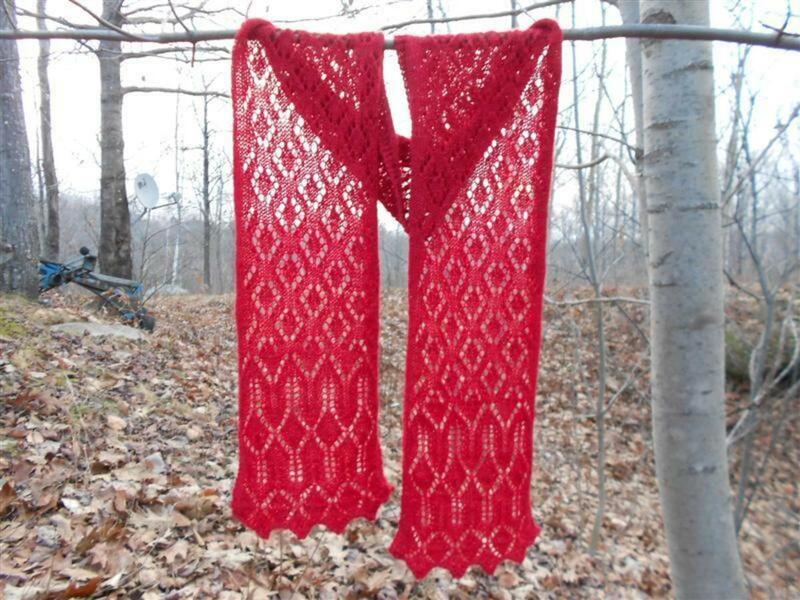 Your mittens are now ready to be worn. Another pattern that is easy to make, these leather gloves can be scaled up or down, like the mittens, to fit any member in the family. Draw up the pattern pieces on Figure 1 to full size on thin cardboard making a mark on each one as you go. This pattern is for a size 6½ glove, so for a larger size scale up the pattern, especially across the knuckles and on finger length. Cut the pieces out in cardboard and place them on the grain side of your leather (not the fleece side) as in the cutting layout. Hold the pattern pieces down on the skin (with weights or sticky tape if necessary) and draw around them carefully with tailor's chalk or a felt-tip marker. Remove the patterns, flip them over to the unmarked sides and use them to draw out the reverse pieces on the skin as shown in Figure 2. Lay the skin on a piece of board and cut out the pieces using a razor blade in a holder. To avoid confusion, put your left hand pieces, (pieces 1 and 2 as they stand in Figure 1, plus a gusset) into one pile and the right hand pieces in another. 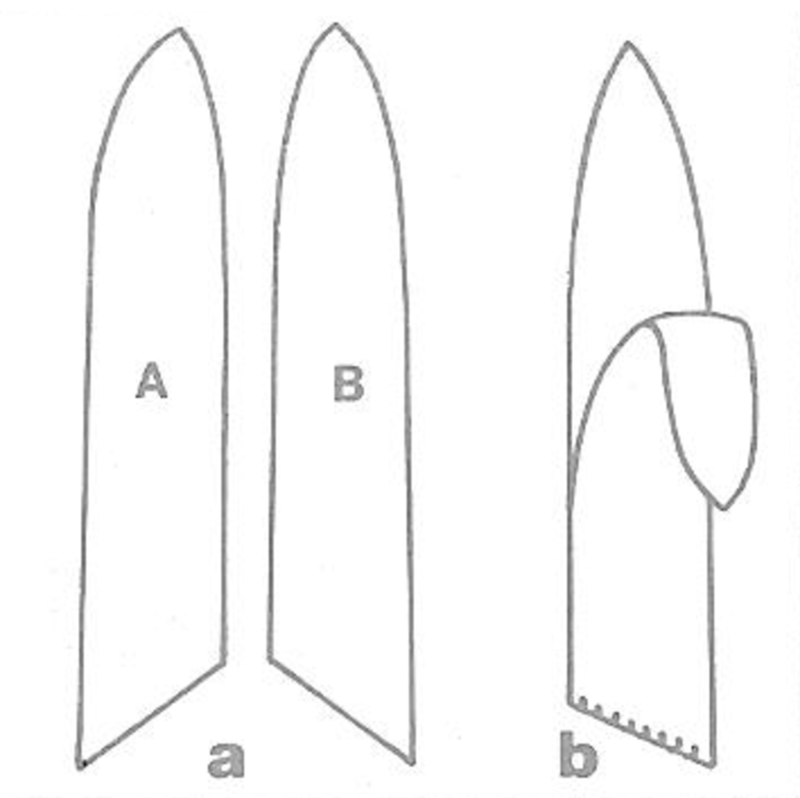 For the fourchettes (between-fingers gusset), you will need six for each hand, three type A and three type B as shown in Figure 3a. Assemble each set of six in pairs (i.e. one of A and one of B and oversew them together, right sides facing along the bottom edge (Figure 3b). You will notice that all the fourchettes are cut the same length, but since the fingers of the glove are different lengths, the fourchettes will have to be trimmed and reshaped as you work. Before stitching any pieces together, trim away the fleece just along the edges to be joined, and as you stitch, push the fleece back between the two layers so that it does not show from the right side. 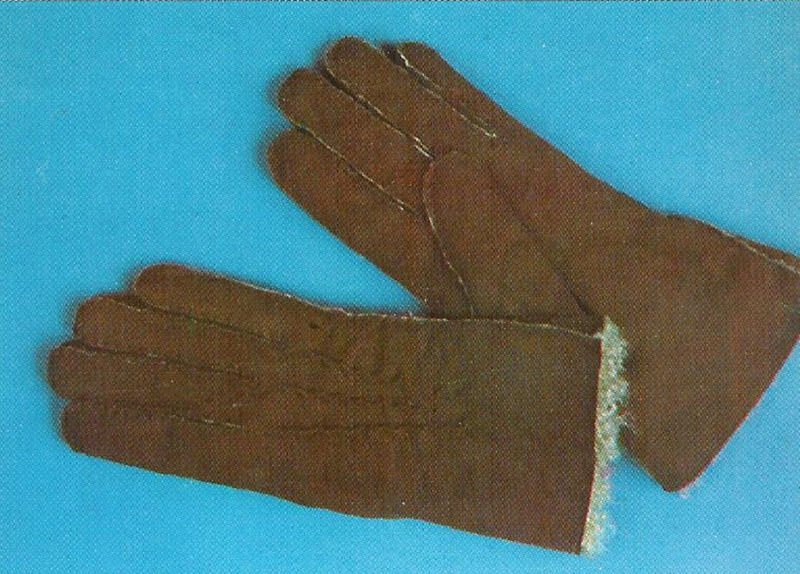 For hand stitching the glove, it is best to use a leather needle and strong waxed thread. 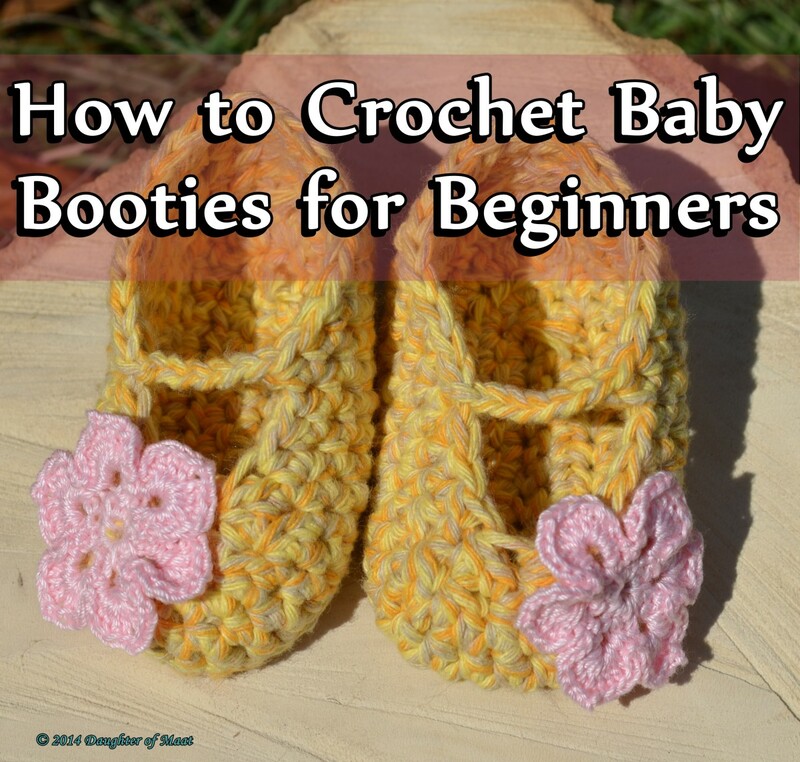 The stitch to use, glove stitch, is rather like a small running stitch except that the stitches should be shorter than the spaces between them. Stab the needle through the two layers of skin, then stab it back through again making a small stitch. Continue in this way doing just one stitch at a time. 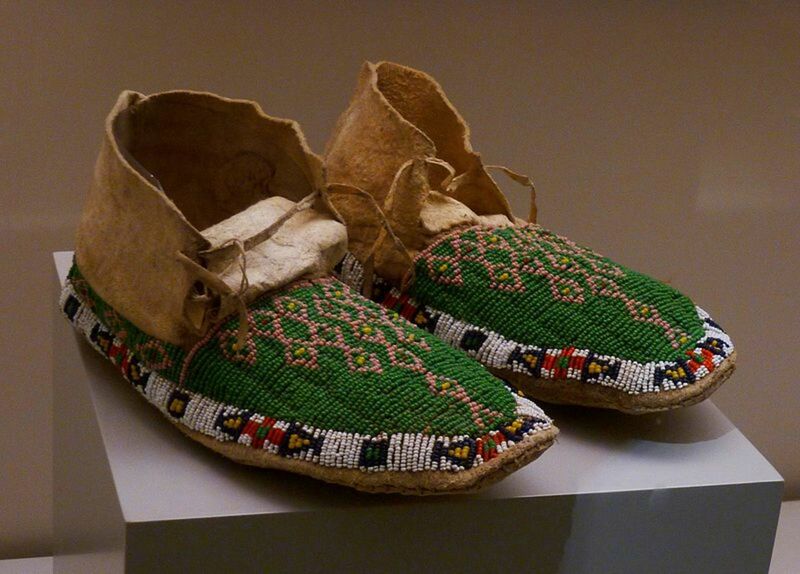 The stitches should be about 1/16 to 1/8 inch long, be evenly spaced and about 1/16 inch from the raw edges. 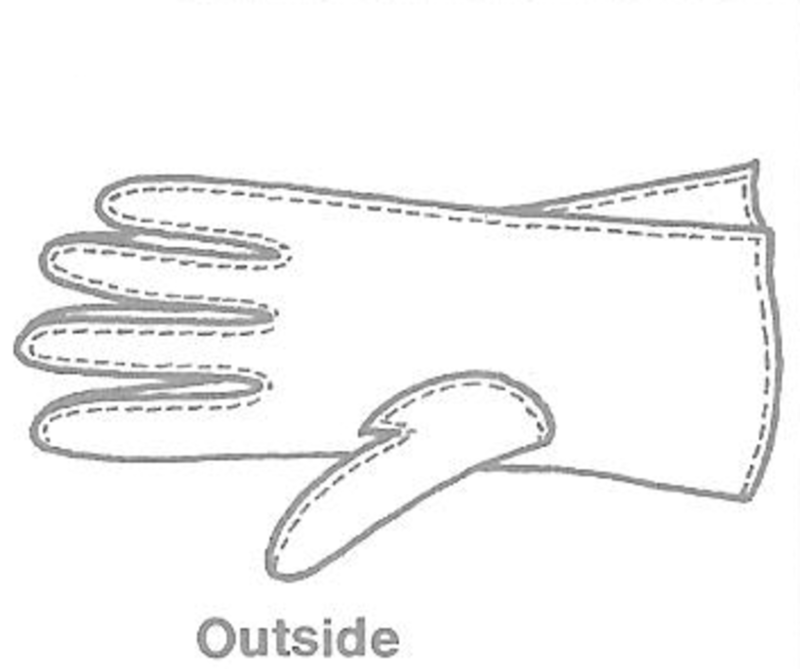 On the main glove piece, cut the thumb hole along the line B-C (Figure 4a). On the thumb piece cut along the line A-B (Figure 4b). With wrong sides together, match point A on the main piece to point A on the thumb piece. Stitch them together from A through B round to C, and then on down the side of the thumb hole to the bottom (Figure 4c). 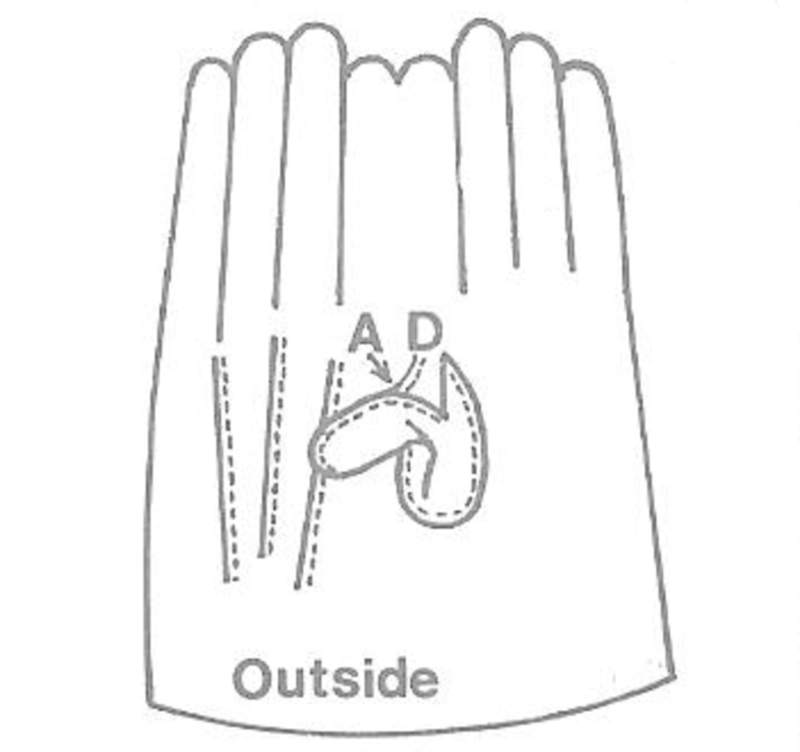 Fold it the thumb in half (Figure 5) and sew it together from the top down to A, and to the glove from A to D, and on around to the bottom of the thumb hole to complete. 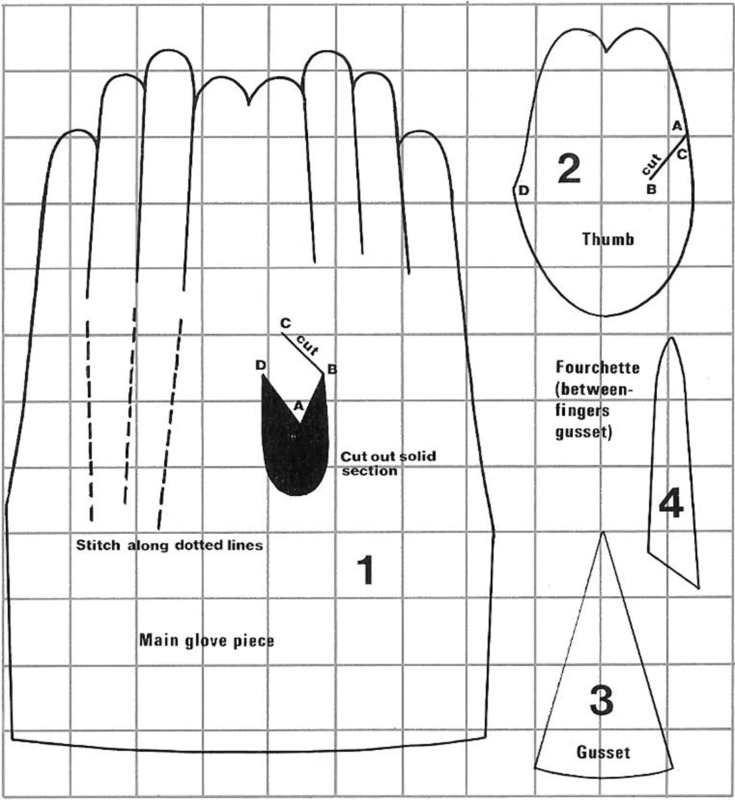 Before sewing the fingers, make the pin tucks on the back of the glove by creasing the skin along the lines indicated on the main pattern piece on Figure 1. Stitch with running stitch to hold the creases in place. 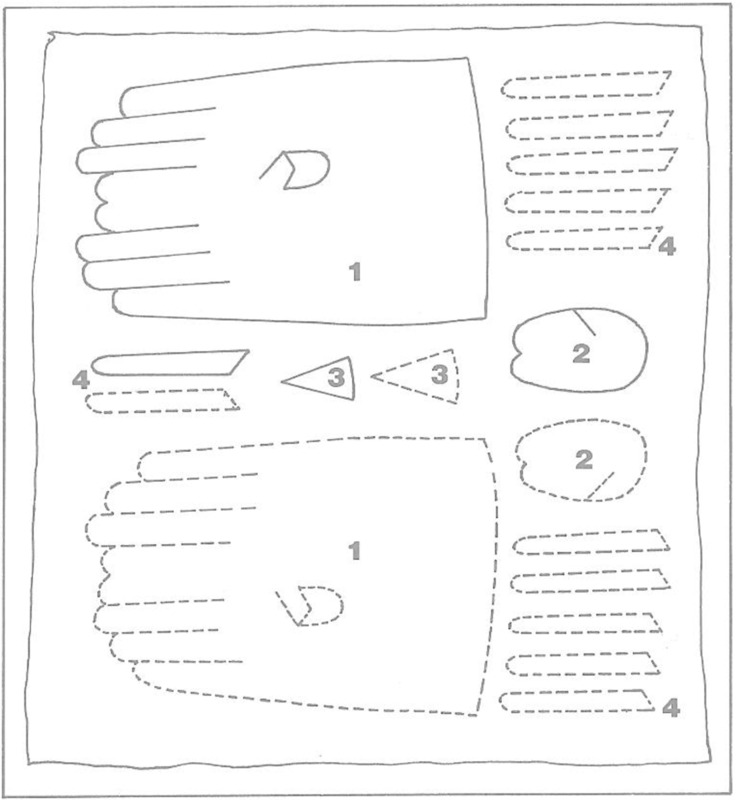 Now take a pair of fourchettes and stitch them to the back of the glove (the side with the three creases between the first and second finger (see figure 6). The lower point of the slanting bottom edge of the fourchette should go in the V between the first and second finger. Stitch from the bottom of the V, up the side of the first finger first and, when about halfway up, measure the length of fourchette needed to complete the finger. Cut off any extra length and reshape the fourchette. Continue stitching up the side of the first finger to the tip of the fourchette, which should end just below the top of the finger. Starting from the bottom of the V again, sew up the side of the second finger. 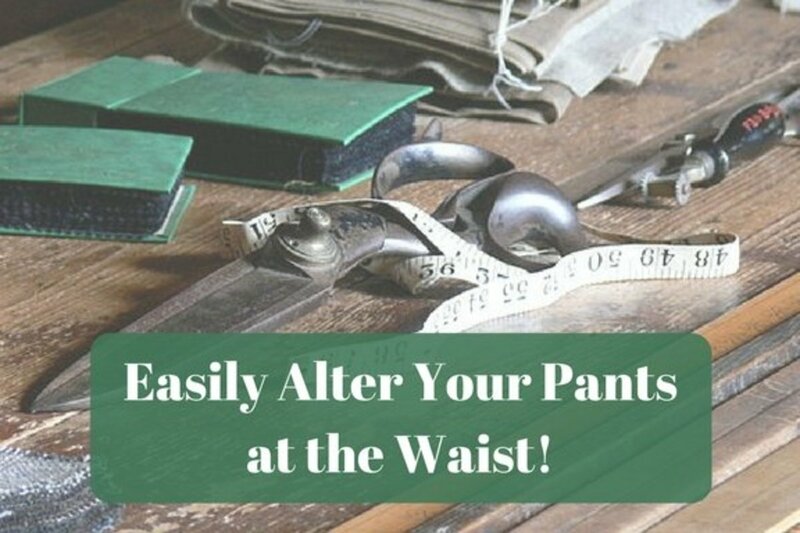 In the same way, sew another pair of fourchettes between the second and third fingers, and another pair between the third and fourth. Fold the glove in half and finish each finger by sewing the other edge of each fourchette in position. Always work from the base of the finger upwards, so that the bottom seam of the fourchettes comes exactly at the base of the finger on the back and front of the glove. 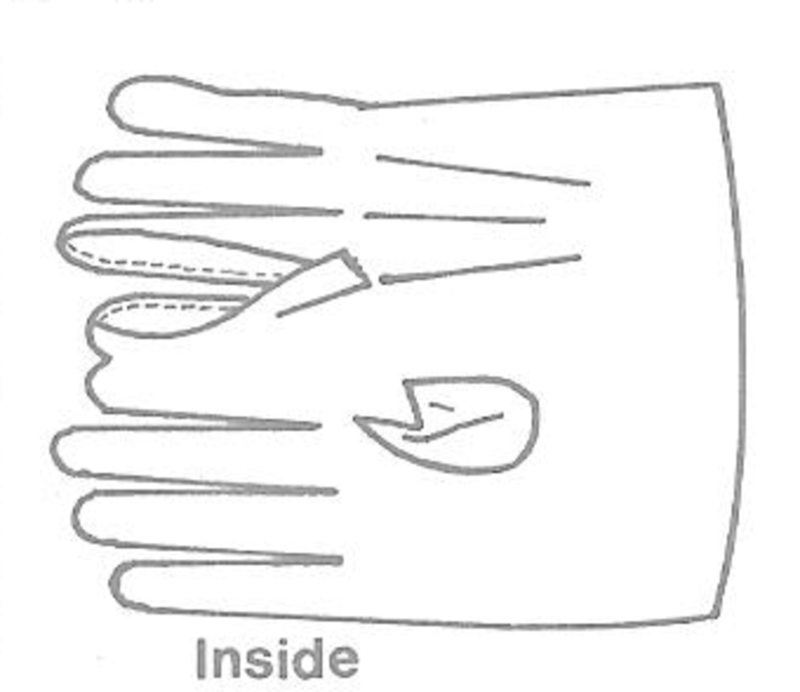 When you have finished sewing the fourchette into the little finger, join the side edges of this finger and continue the seam down to complete the side of the glove, inserting the gusset (Figure 7). Put the other glove together in the same way. Your gloves are now ready to wear. Thank you so much for the visit and the comment! I love this idea! 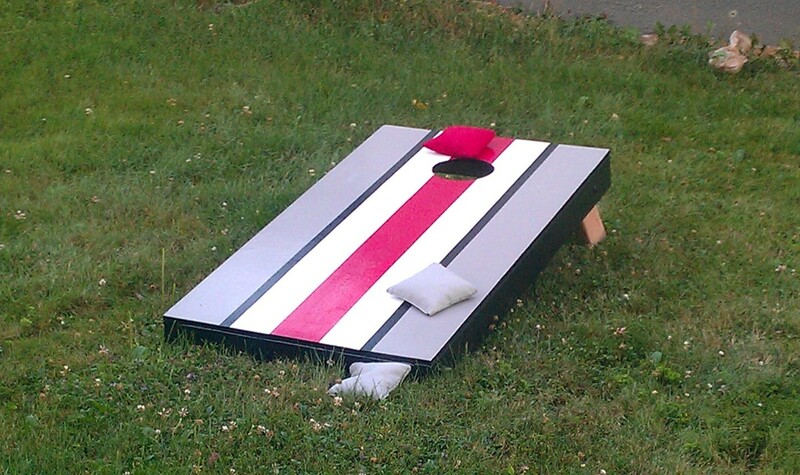 I'll have to take advantage of this craft to keep warm next winter! :) Thanks!